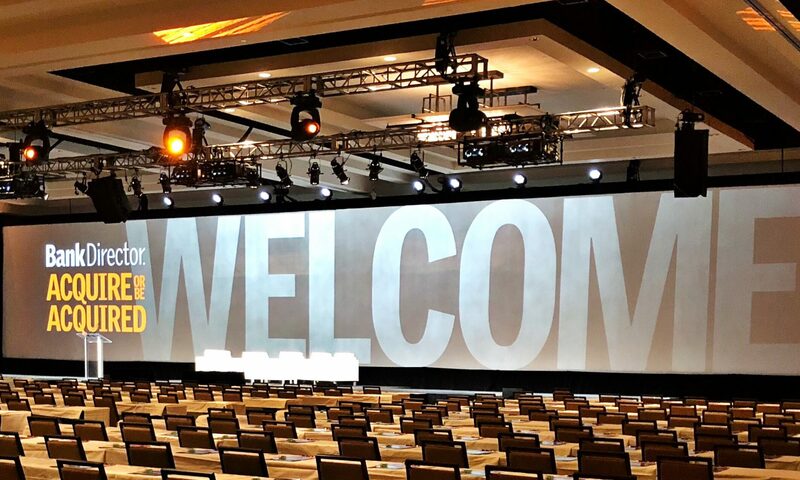 Select news and notes from the first day of Bank Director’s annual growth conference at the Ritz-Carlton New Orleans. I mentioned this from the stage earlier today… every January, Bank Director hosts a huge event in Arizona focused on bank mergers and acquisitions. Known as “AOBA,” our Acquire or Be Acquired conference has grown significantly over the years (this year, we welcomed some 800 to the desert). After the banking M&A market tumbled to a 20-year low in 2009 of just 109 transactions, it has gradually recovered from the effects of the crisis. In fact, there were 288 bank and thrift deals last year, which was a considerable improvement on volume of 224 deals in 2013. As our editorial team has noted, the buying and selling of banks has been the industry’s great game for the last couple of decades, but it’s a game that not all banks can — or want to — play. Indeed, many bank CEOs have a preference to grow organically, and its to these growth efforts that we base today and tomorrow’s program. To kick things off, we invited Fred Cannon, Executive Vice President & Director of Research at KBW, to share his thoughts on what constitutes franchise value. While he opened with a straight-forward equation to quantify franchise value over time — (ROE – Cost of Equity) × Market Premium — what really stuck with me during his presentation is the fact that a logo does not create franchise value, a brand does. As he made clear, it is contextual (e.g. by industry’s served, technologies leveraged and clients maintained) and requires focus (e.g. you can’t be all things to all people). Most notably, small and focused institutions trump small and complex ones. Banks must be selective when integrating new technology into their systems. The ability to analyze data proves fundamental to one’s ability to innovate. When it comes to “data-driven decisions,” the proverbial life cycle can be thought of as (1) capture (2) store (3) analyze (4) act. We’ve heard this before, but size does matter… and as the size of bank’s balance sheet progresses to $10 billion, publicly traded banks generate stronger profitability and capture healthier valuations. Selling services to large, highly regulated organization is a real challenge to many tech companies. A few sidebar conversations about Wells Fargo’s incubator program, which the San Francisco bank began last August… interest in how the program involves direct investment in a select group of startups and six months of mentoring for their leaders. To see what’s being written and said here in New Orleans, I invite you to follow @bankdirector, @aldominick + #BDGrow15.